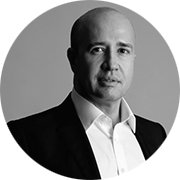 Joney graduated in Medicine in Brazil, home to many of the world’s celebrated plastic surgeons and aesthetic doctors and has been fortunate to train and work with many of them throughout his 17 years experience in Aesthetic and Anti-ageing Medicine. Joney is passionate about skin and believes that natural results are the best option he can offer his patients. His ethos has always been to focus on individuality and here at his clinic, Dr Joney De Souza Skin and Laser, this is at the core of everything they do. In his practice Joney has only invested in the very best treatments and technologies to offer his clients, and these include the complete range of ZO Skin and Medical Products. When prescribing ZO to clients Joney has every confidence that they will offer outstanding results whether pigmentation reduction, rosacea, acne or anti-ageing. This has resulted in a loyal following of clients using ZO and coming back time and again whilst they adhere to a skincare regime that actually works for them.